Our Mark Series of Single Point Gap Frame Presses ranges from 35 to 66 tons, and offers a fully featured press at a great value. These presses feature Color Touch Screen Controls, Stroke Position Indicators, Batch Counters, Heavy Duty Heat Treated/Stress Relieved Steel Frames, Cast Slide Bodies, Keyed HOLPs rated at 110% capacity, and Crankshafts rated at 150% capacity. 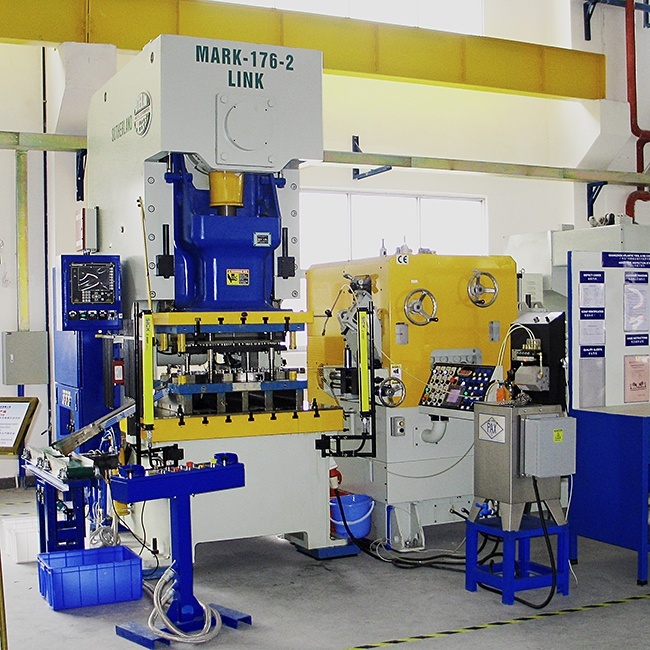 For ease of maintenance, our Mark Series presses also incorporate a centralized maintenance center, ensuring easy access to the reservoirs for the lubricants. The Mark Series is a fully capable workhorse for a wide variety of applications.